Five people were arrested after searches in Wexford and Dublin yesterday. TWO MEN ARE to appear in court in relation to the seizure of €1.7 million in cash by gardaí yesterday. 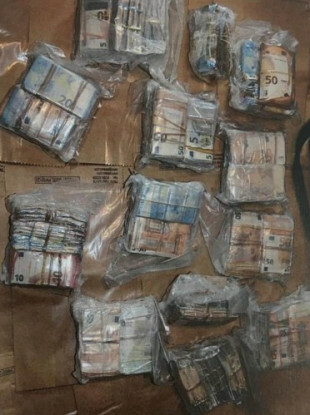 The cash was seized following searches in Wexford and Dublin. The men are due to appear before Wexford District Court at 10.30am tomorrow. The three other people arrested in connection with the investigation, two men and a woman, were released without charge. A file is being prepared for the Director of Public Prosecutions. At approximately 10.45am yesterday, officers from the National Drugs and Organised Crime Bureau stopped two vehicles off the Clonard Road in Wexford town. Further searches in Dublin were also carried out. The operation was part of an investigation into organised crime. Email “Two men to appear in court over €1.7m cash seizure”. Feedback on “Two men to appear in court over €1.7m cash seizure”.